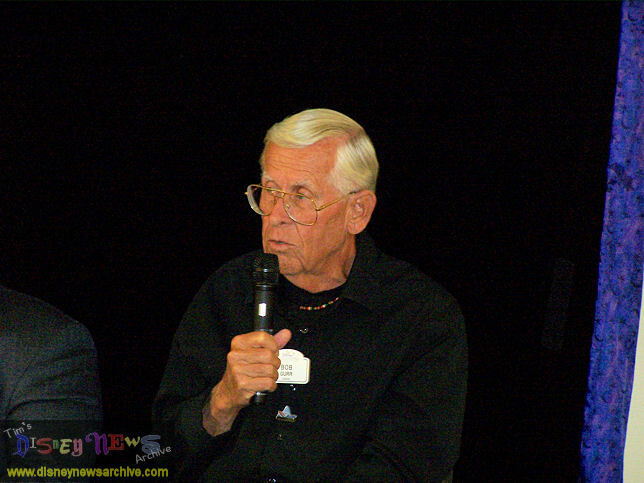 Called upon by Walt Disney to design the Matterhorn Bobsleds, imagineer Bob Gurr wasn't sure if he was the right guy for the job. "I never designed roller coasters," he says. "I hate 'em." 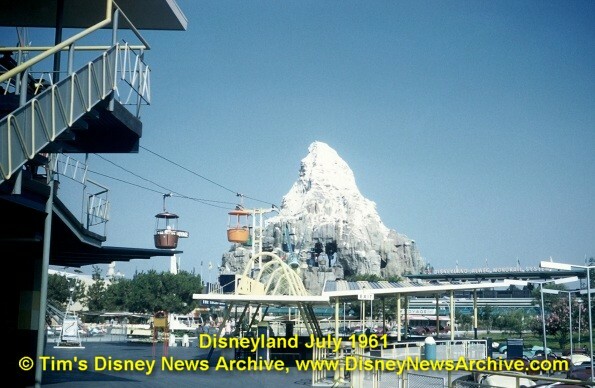 For someone who's never been a fan of thrill rides, apparently he did alright as the Matterhorn, along with the Monorail and the Submarine Voyage (with and without Nemo), mark their 50th anniversary at Disneyland today. Gurr was the guest of honor last weekend at a dinner reception in Anaheim hosted by Ape Pen Publishing and the 1313 Club. Joining him were fellow Disney Legend Ron Dominguez, audio-animatronics whiz Garner Holt and former Anaheim city manager Keith Murdoch. It was an evening of nostalgia and fond recollections with the man who often says, "If it moves on wheels at Disneyland, I probably designed it." That's no exaggeration. 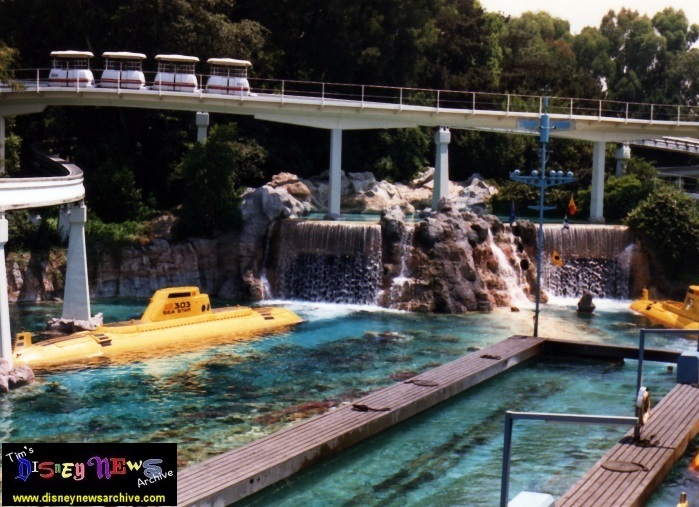 Gurr's credits include the Autopia, the vehicles on Main Street and the Haunted Mansion's omnimover system, among many others. He also helped design the inner workings of Abraham Lincoln for Great Moments with Mr. Lincoln. In fact, Gurr recently donated the upper torso of the original Lincoln animatronic to Walt Disney's daughter Diane Disney Miller for display in the Walt Disney Family Museum, opening in San Francisco this fall. There were a number of challenges to designing and building the Matterhorn. The mountain shell was easy enough, as were the very first tubular steel roller coaster tracks. The problem was making one fit inside the other. During one period, Gurr says, he hand drew a different track a day for two weeks to come up with a design that would work. Once accomplished, the actual construction went much smoother. "We just shut up and did the work," he says. "It was so absolutely simple." Simple maybe, but still tricky to get past building inspectors. Rather than get design sketches approved prior to construction, as was the norm, Gurr and his crew submitted the final certified drawings immediately after each component was built. Somehow it worked. 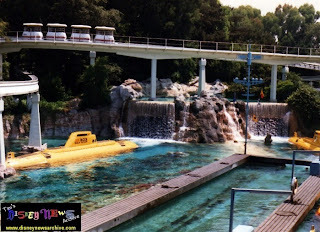 Barely a year after their mutual groundbreakings, the Matterhorn, Monorail and Subs were completed--and Bob Gurr was the design master behind each of them. Not that he always gets the credit. Shown a copy of a U.S. Patent Office filing with Joseph Fowler named as the designer of the sub ride vehicles, Gurr smiles, prints his name next to Admiral Joe's, then signs it. Hey, if it moves on wheels at Disneyland . . .